Five years after Russia took over and claimed to annex the Ukrainian territory of Crimea, Russia's aggression continues unabated. In November 2018, Russia obstructed Ukrainian naval vessels from transiting the Kerch Straits, and then pursued those vessels into international waters, impounded the ships and arrested the sailors, who remain incarcerated to this day. Russia also continues its persistent aggression and occupation of territory in Eastern Ukraine. Hear these experts discuss the state of play in addressing the Russia-Ukraine conflict, Ukraine's reforms and domestic development, the role of civil society, and implications for U.S. foreign policy. First round of Presidential elections will be held on March 31, 2019. Please join PCFR for a dinner panel discussion with Ambassador Valeriy Chaly, Ambassador Kurt Volker, Kateryna Smagliy and Liisa Past. 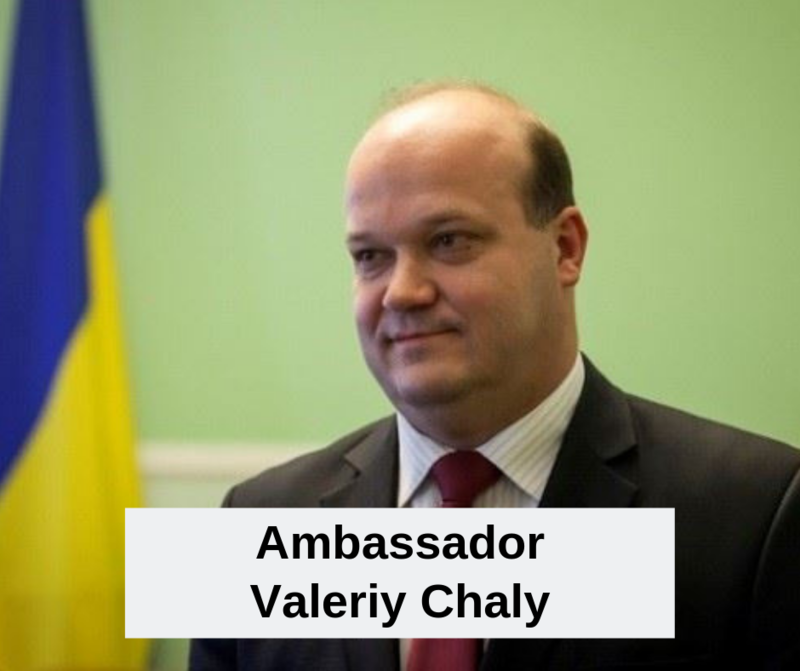 Valeriy Chaly assumed his duties as Ambassador Extraordinary and Plenipotentiary of Ukraine to the USA in July 2015, expanding his diplomatic mission as Ambassador Extraordinary and Plenipotentiary to Antigua and Barbuda (since November 2015) and to the Republic of Trinidad and Tobago with Residence in the U.S. (since April 2016) and Permanent Observer to the Organizations of American States. In June 2014-July 2015 Valeriy Chaly worked as Deputy Head of the Administration of the President of Ukraine following his foreign policy advisory to Mr. Poroshenko during his presidential campaign. In 2006-2009 and 2010-2014 Valeriy Chaly worked as Deputy Director General of a leading Ukrainian think-tank– Razumkov Centre, where he supervised foreign policy, international law and security programs. During the course of his NGO career, Mr. Chaly developed a significant expertise gaining a wide recognition in Ukraine and internationally. In November 2009 Valeriy Chaly worked as Deputy Minister for Foreign Affairs of Ukraine and resigned in April 2010 in protest against the foreign and security policy pursued by then President Victor Yanukovych. Following his resignation Mr. Chaly resumed his work at the Razumkov Centre and advised the Foreign Relations Committee of Verkhovna Rada (Parliament) of Ukraine. Valeriy Chaly’s earlier public sector career also included service as Assistant to the Deputy Secretary of Ukraine's National Security and Defense Council (1997-1999) and Senior Consultant at the Assistants’ Group to the President of Ukraine (1995). In 1995 he graduated with postgraduate degree in the international law studies from the Institute of International Relations, National Taras Shevchenko University, Kyiv and in 1992 from Vinnytsia State Pedagogical University, Department of History. Born on 1 July 1970. Kateryna Smagliy has almost 20 years of professional experience ranging from international organizations, diplomatic missions, democracy promotion foundations, civil society and academia. In 2015-2018 Kateryna served as Director of the Kennan Institute Kyiv Office. In this capacity she organized leadership and democracy schools for the students of displaced universities of Donbas and in partnership with the Foreign Ministry of Ukraine promoted the institutional development of Ukraine’s public and cultural diplomacy. Read more. 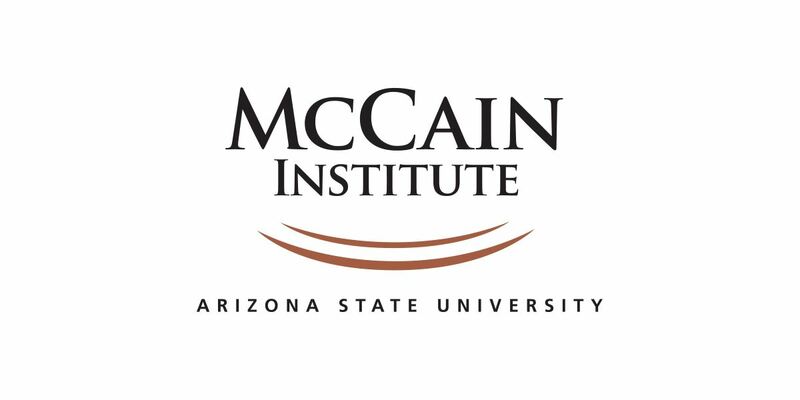 Liisa Past (MA) is a Next Generation Leader at the McCain Institute for International Leadership at the Arizona State University and former Chief Research Officer at the Cyber Security Branch of the Estonian Information System Authority, where she designed, led and carried out an analysis related to cyber security, including risk, threat and impact assessments. She has been one of the driving forces behind the Estonian comprehensive risk assessment of elections and the Compendium on Cyber Security of Election Technology, published by the Cooperation Group of the Network and Information Security Directive. During her year as a Next Generation Leader she focuses on operationalizing cyber security of democratic processes.